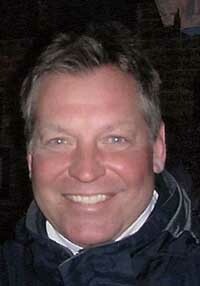 Daniel Richard Anderson died unexpectedly at age 55 on Dec. 1, 2011, at his home in Minneapolis. As a devoted companion and life-care advocate for his father and mother, Dan supported them to age gracefully and to provide love, empathy and care for his sister during her lifetime with Down syndrome. He consistently provided compassion and assistance to many relatives and friends. Dan founded the annual Wide Open charity golf event in Ketchum, Idaho. He led a bright and engaged life on his own terms. He was preceded into eternal adventures by his father and mother, Harold and Eleanor, and his sister Margaret Ann. He is survived by his brother, Gary, and sister-in-law, Allison, and their children, Danny and Kate, of Lincoln, Mass., and sister Mary Lynn Anderson and brother-in-law Harold Kennedy of Rye, N.H.
A memorial service and interment were held Dec. 20 at Lakewood Cemetery and Memorial Chapel in Minneapolis, Minn.